Did you move recently or change your name? Will you be 18 years old by the next election? Not sure if you are registered? 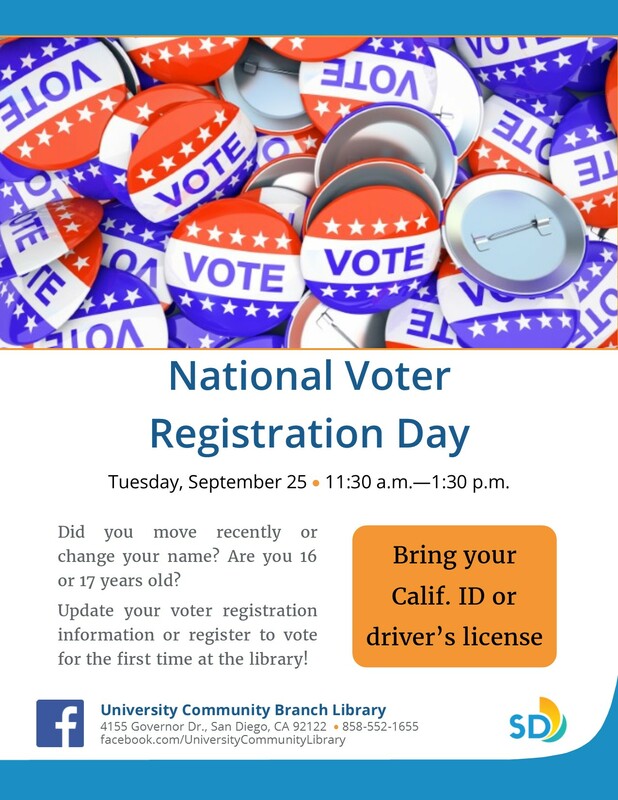 Update your voter registration information or register to vote for the first time at the library. 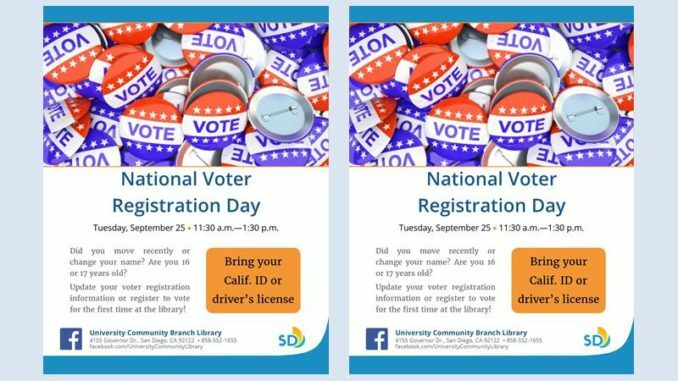 National Voter Registration Day at University Community Library, 4155 Governor Drive, is Tuesday, September 25, from 11:30 AM to 1:30 PM. Be sure to bring your California driver’s license or ID. Forms will be available in English/Spanish, Tagalog, Chinese, Korean and Vietnamese. You’ll receive a postcard in the mail confirming your registration about four weeks later. Keep in mind that the deadline to register to vote for the November election is Monday, October 22. Not sure if you are registered? The Registrar of Voters has an easy online form to check your registration status.